The Eureka! Clinical project aims to eliminate barriers to access to clinical data for clinical and translational research. It is developing reusable, RESTful, web-based and open source components that can be composed into scalable applications for assessing clinical trial feasibility, identifying potential participants for clinical studies, reviewing clinical data, and accessing large datasets for analytics and predictive modeling. Analytics provides tools for electronic health record (EHR) phenotyping, that is, finding patients of interest that match specified patterns in clinical and administrative EHR data. 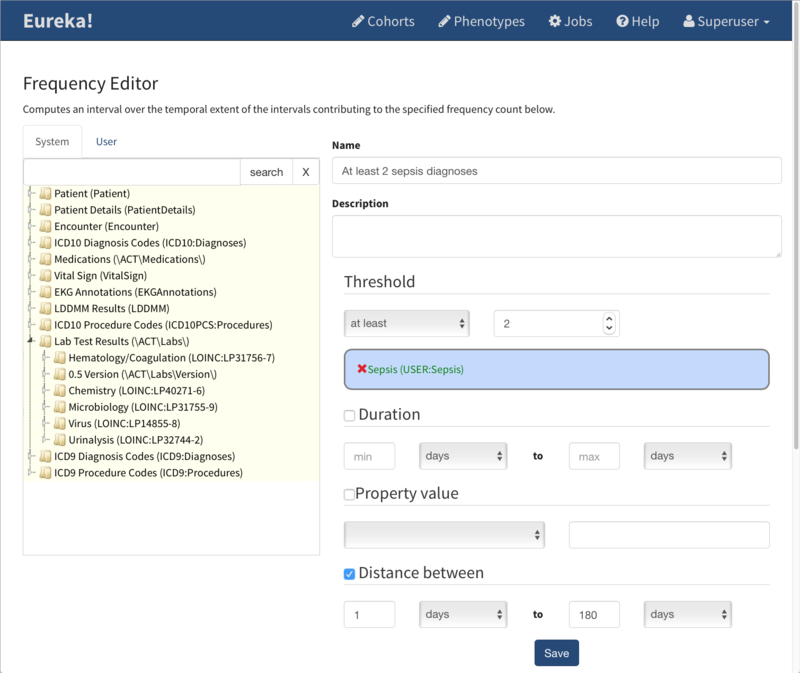 Eureka stores these patterns in computable form, and it computes them rapidly in clinical datasets and databases, including i2b2 clinical data warehouses. It supports building a repository of phenotypes representing best practices in how to find patient populations of interest. Learn more. This work has been supported by PHS grant UL1 TR000454 from the CTSA program, NIH, NCATS; NCI grant U01 CA187013; NHLBI grant R24 HL085343; and Emory University Library and Information Technology Services.